As the seasons change, the weather can take a toll on your car. Salty conditions in the winter and sun damage and bugs in the summer can affect paint and shine, but you can get that new car look back with a visit to Kingston Car Wash. Check out our affordable automatic 135' tunnel in Kingston, Massachusetts, that will do the dirty work for you. Our car wash packages are sure to fit your needs and your budget. We promise you'll leave in a vehicle that's clean, dry, and shiny. 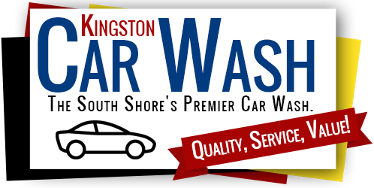 Kingston Car Wash also offers 3 self serve bays 24 hours a day! 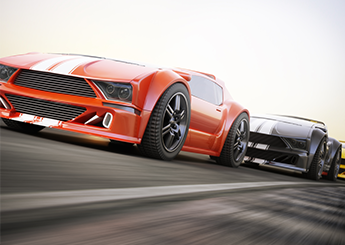 The first package that we offer is called "Starting Line," which is a high quality basic car wash. This package features a thorough exterior car cleaning, car bright, rim cleaning, foaming pre-soak, free clear coat for the ulitmate shine and complimentary towel dry service. This package price is $12. Our "Formula One" package includes an exterior wash, car bright spray, rim cleaning, foaming presoak and free clear coat for the ultimate shine. We also provide an under wash to clean off any salt or debris from the road, along with a rust inhibitor to protect your paint for the future. This package also includes a complimentary towel dry and all for $16. This package includes an exterior car wash, car bright spray, rim cleaning, foaming pre-soak, free clear coat for the ultimate shine and complimentary towel dry service. You'll also receive our protective rust inhibitor, triple foam polish, sealer, and wax that will have your car shining like new. Price of the "Checkered Flag" is $18. 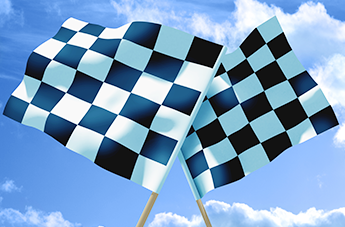 The "Winners Circle" package includes an exterior car wash, car bright spray, rim cleaner, foaming presoak, free clear coat for the ultimate shine, under wash, and towel dry service. Our poly sealant, rust inhibitor, triple foam polish, sealer, and wax are also included in this package, and complimentary towel dry service. the cost is just $20. No long term contracts, No cancelation fee, ENROLL NOW!